Bob PIcken grew up in Winnipeg's North End and while in high school got his first chance at sports reporting with the Winnipeg Citizen where he covered midget and juvenile hockey. He then was recruited to serve as secretary of the Winnipeg midget hockey league where he spent five seasons. 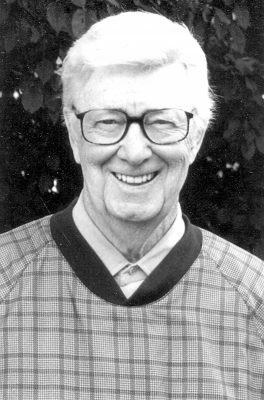 In 1965 he joined CJOB Radio as sports director and did play-by-play on Winnipeg junior Jets and Canada's National Team broadcasts. After moving to CBC where he worked in both radio and TV, Picken covered the birth of the Jets in the WHA and into their NHL days. Throughout his career, he ensured that Manitoba leagues as well as interprovincial playoffs such as the Allan, Memorial and Hardy Cup received coverage. He has served as master of ceremonies for eight Manitoba Hockey Hall of Fame inductions. His volunteer and media work has earned him induction into baseball, curling, football and golf halls of fame and the Manitoba Sportswriters and Sportscasters Association Media Roll of Honour.